Periodically clean the rubber part using special products; TUTELA PROFESSIONAL SC 35 is recommended. If the rubber blades are bent or worn they should be replaced. In any case they should be changed once a year. 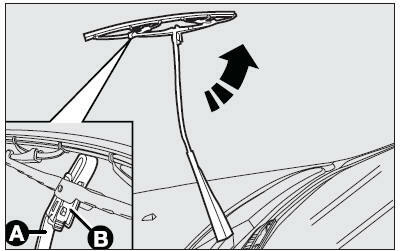 do not operate the windscreen and rear window wipers on dry glass. blades is a serious hazard, because visibility is reduced in bad weather. 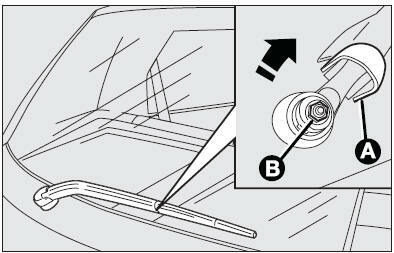 fit the new blade by inserting the tab into the special slot in the arm. Make sure it is properly locked into place.